With essays addressing infrastructure and genres, associational practices and protocols, this volume establishes mediation as the condition of possibility for enlightenment. In so doing, it not only answers Kant’s query; it also poses its own broader question: how would foregrounding mediation change the kinds and areas of inquiry in our own epoch? 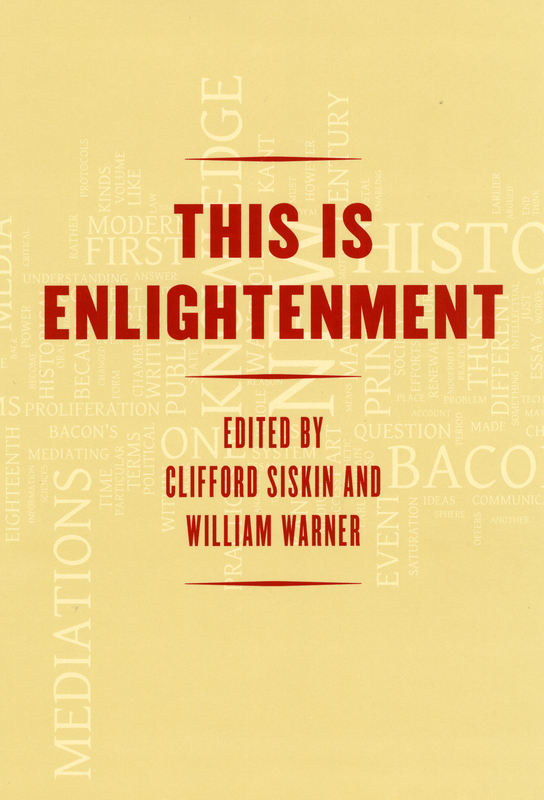 This Is Enlightenment is a landmark volumewith the polemical force and archival depth to start a conversation that extends across the disciplines that the Enlightenment itself first configured.